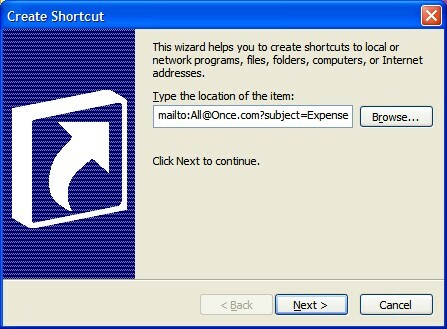 You can create a shortcut on your desk top that will start or switch to your default email application. You can also fill in parts of the message if you want. Right-click an empty spot on the desktop and choose New>Shortcut. The University of Nebraska at Lincoln has some other entries you may want to try. They are intended as HTML hyperlink references, but some of them work as shortcuts too.